Are you a fig newton fan? Do you even know what those are? They taste straight up artificial. 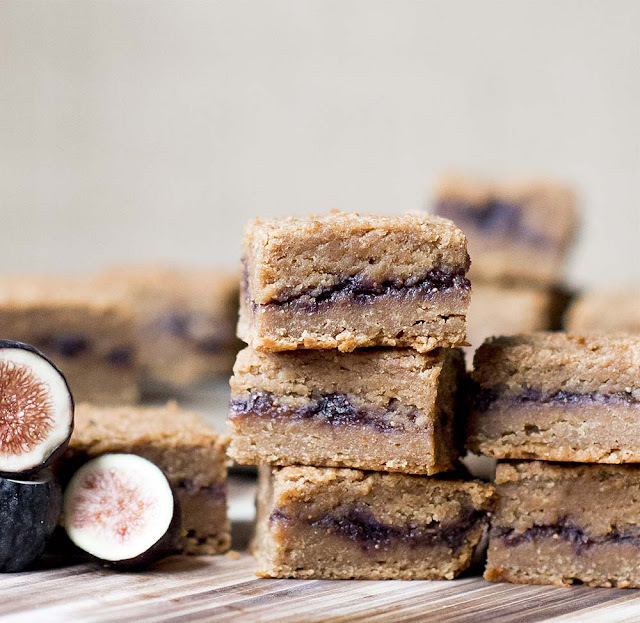 Even if you’re a lover of fig newtons or not, these cookie bars stuffed with an ooey gooey homemade fig filling are the upscale, non-artificial version of the refined sugar-filled grocery store fig newton cookies. The cookie bar is incredibly soft and chewy. 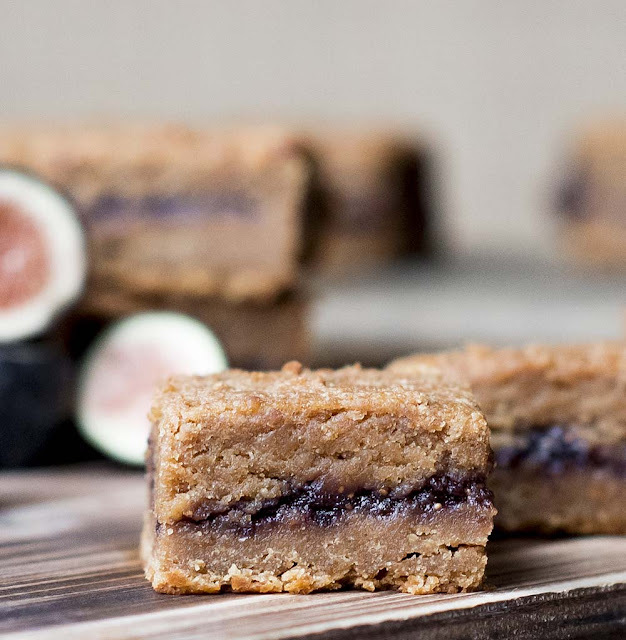 The fig filling is fresh, sweet, and delicious. It’s a delightful combination you must try! 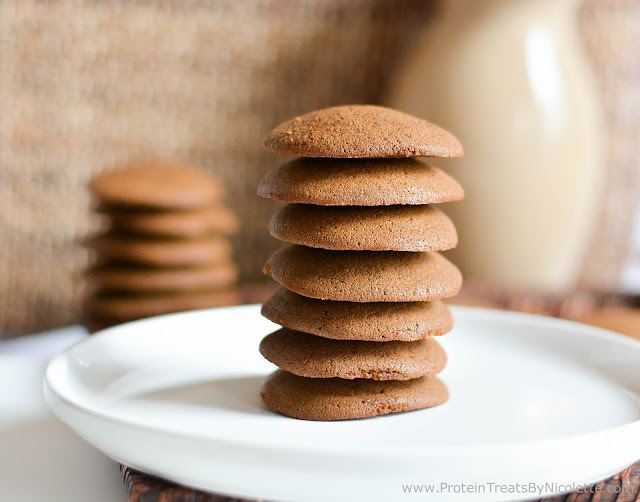 They are also refined sugar free, egg free, dairy, free, and soy free. 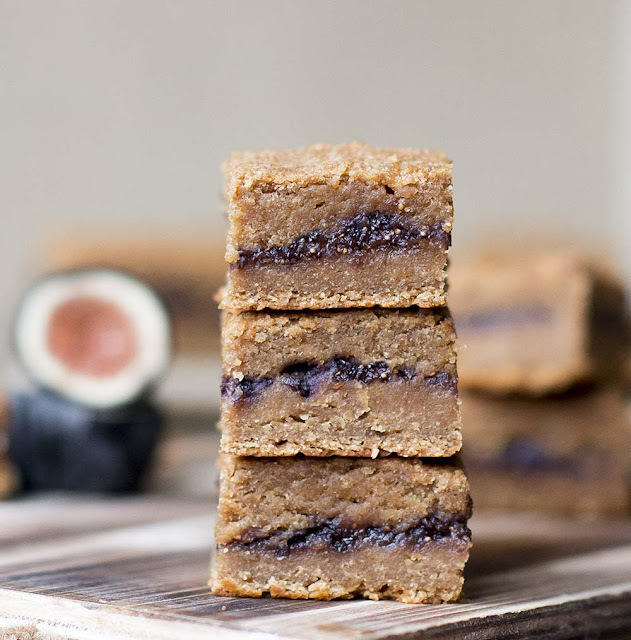 Considering how the fig filling is once mixed, I was nervous the cookie layer would take on a spongy texture after baking. It did not, however. It blended beautifully in between the two vanilla cookie layer, creating a perfectly sweetened filling. It’s not often that you spot fresh figs in the grocery store. They are in season now, so keep your eyes open to these little pieces of nature’s candy. 1. Preheat oven to 350 degrees F. Line an 8x8” pan with parchment paper and set aside. 2. In a mixing bowl, whisk together applesauce, almond milk, egg substitute, and vanilla extract until smooth. 3. In a separate large mixing bowl, sift together almond meal flour, spelt flour, coconut sugar, baking powder, and salt. 4. Pour wet ingredients into the bowl of dry ingredients. Stir until well combined. 5. 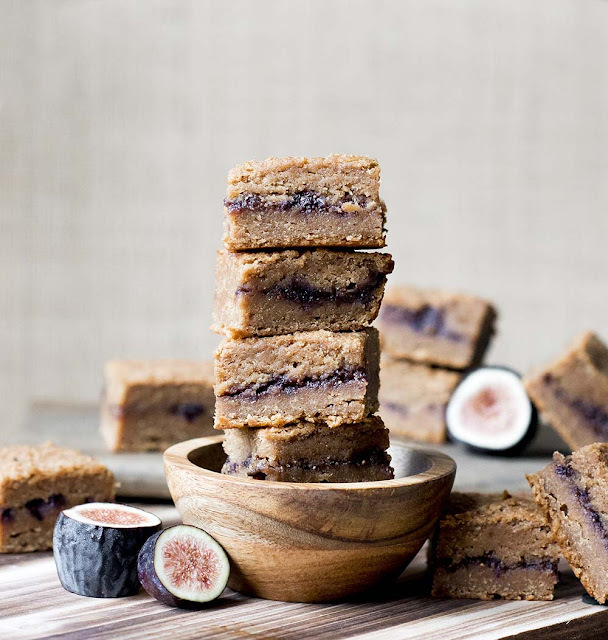 Blend together fig filling ingredients in a food processor until smooth. 6. Pour half of the vanilla cookie bar batter into baking pan. Smooth down. 7. 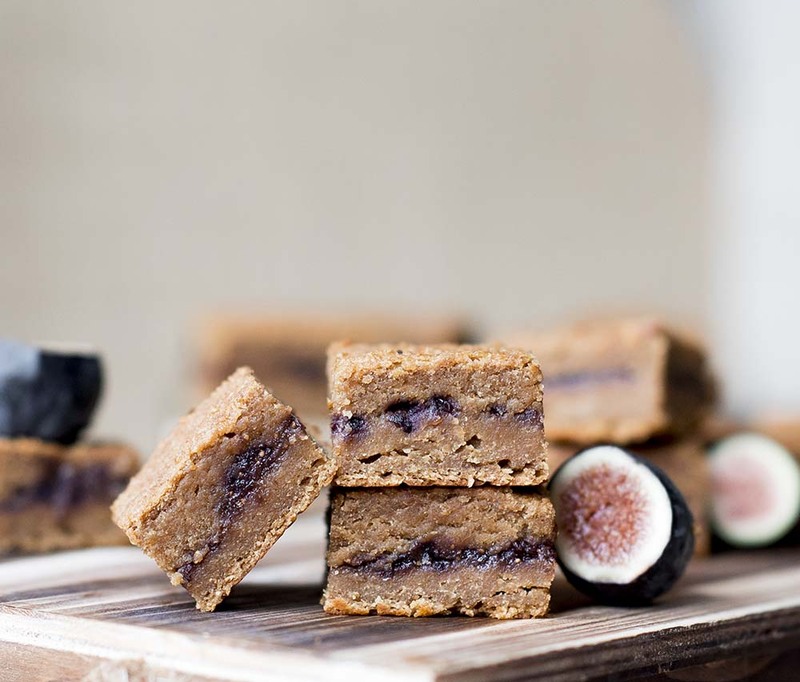 Spread all of the fig mixture in the baking pan, on top of vanilla cookie batter layer. 8. Pour the remainder of cookie bar batter in the baking pan, on top of fig mixture. Spread down. 9. Bake in the oven for 34-38 minutes, or until center is cooked throughout.